Sugar Hill is a gorgeous resort with a fully-equipped gym, beach access, and nearness to Royal Westmoreland’s golf course. A15 has four spacious bedrooms, and there’s even a guest cottage for guests who want more privacy. The cook and housekeeper will take care of everything during your stay, including two consecutive meals a day. Children are welcome, and this villa would be great for a family because most of the bedrooms are under one roof but still spread out enough to feel like you have your own space. 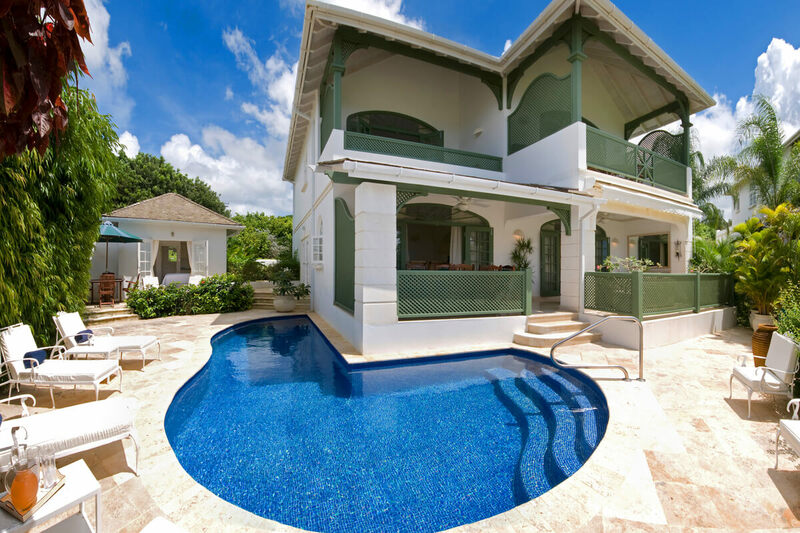 Sugar Hill A15 is an elegant townhouse with four bedrooms and a private plunge pool. This vacation rental sits in an elevated section of Sugar Hill, a David Lloyd Resort that takes up 50 acres of landscaped ocean view property. Sugar Hill guests have access to the clubhouse’s pool and fitness center, public tennis courts, and exclusive beach access to Heron Bay. The villa’s private pool bends around the home, framed by a stone terrace and covered veranda. Feast al fresco in the dining area, or move inside to the formal dining room. The air-conditioned living room opens to the spacious terrace through French doors, and has a view of the pool. Guests can watch movies on the entertainment system, and is beautifully decorated. The kitchen is fully equipped, and the cook will prepare two meals a day so that guests get to relax. One of the four bedrooms is on the ground floor, and has a private balcony with pool access. It has a king-sized bed and ensuite bathroom, and is extremely spacious. Two other bedrooms are on the upper level, both with private terraces and pool views. One upper level bedroom has a king-sized bed, shower, and bathtub, the other upper level bedroom has two twin beds that can be converted into a king-sized bed. In-laws or grandparents can stay in the fully furnished one-bedroom cottage, which has a kitchenette and access to the pool deck. Sugar Hill is within a short drive of Alleynes Bay and Holetown. Golf at Royal Westmoreland is a five minute drive away.